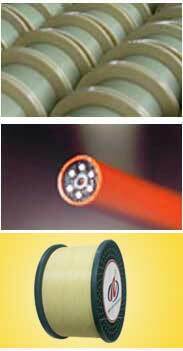 Aksh is pioneer in producing reinforcement solutions for Optical Fibre Cables. With capacity to produce one million Kilometre Glass and Aramid fibre reinforced plastic rods (FRP Rods), Aksh is now the largest producer in the world. Aksh also has capacity to produce 3000 Metric tonne of Water blocking and PU coated Glass fibre. Products are exported to 56 countries across 6 continents. Some of our esteemed customers are Corning, Prysmian, Sumitomo, Furukawa-OFS, Fujikura, Samsung, General cable, Nexan and Commoscope.